Amber writes: Our machine was called Fucus - as it was heavily inspired by seaweed ( bladderwrack, Fucus vesiculosus Wikipedia ). 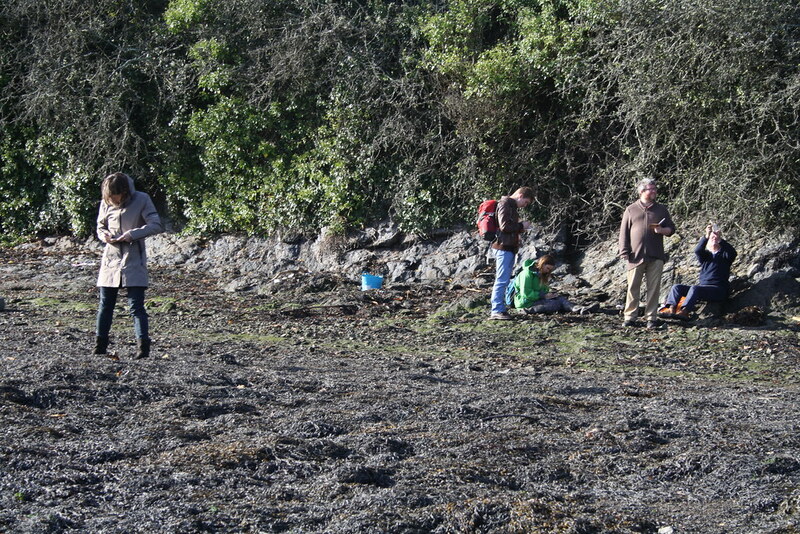 The group was very drawn to the beach and the mud - as soon as they were on the beach they found some bladderwrack hanging from a tree, and we talked about the 'bladders' as buoyancy, and how the structure completely changes when there is water present or not. Stillness with the tide out/seaweed 'dances' with the tide in. (Dry seaweed - brown, brittle, hardened, crunchy, opaque, ochre... Wet seaweed - maleable, slimy, green, strong, shiny, colourful, rubbery, elasticity, breaks along the vein, translucent, dappled texture). We talked about why they have multiple bubbles - one bubble is risky if the seaweed is broken. One prevailing feeling was the amount of rubbish in the environment - china, glass, plastic - people talked about how this 'doesn't fit in', yet it is 'part of the environment' and some things live on it. There was an idea to accelerate evolution to make creatures that fed on plastic - and talk about how plastic is made from oil, which is recycled life - where does 'nature' start and end? 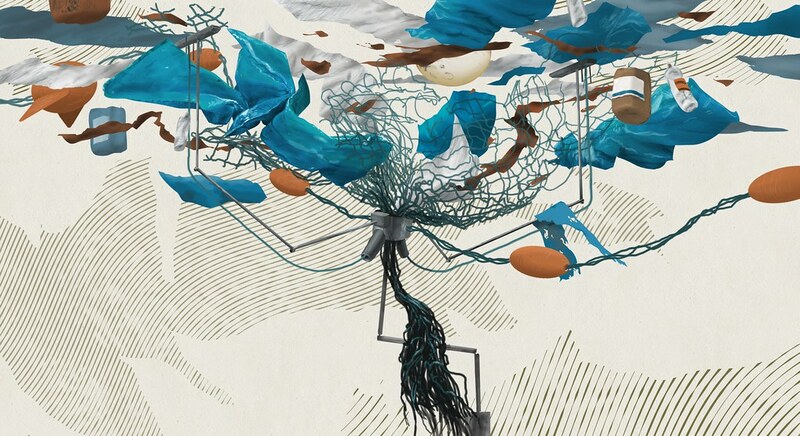 The design built on this - making a creature to eat or collect plastic from the water surface - designed to rise up with the tide, and collapse down to an anchor point when the tide went out, much like bladderwrack. The group thought of MANY different iterations, before being encouraged to think about the 'minimum viable design'. They ended up with an anchor (like seaweed, to loosely anchor on the mud), a long string to allow the creature to rise to the surface as the water came in. There was a central floating hub, with a long tube attached. Along the long tube there were floats, inspired by the seaweed bladders. At the other end of the tube was a finned floating object, with a marine motor, allowing it to travel round in a wide circle around the central hub. Hanging from the long tube was a hand made net, fashioned from a material similar to seaweed - thin and breakable to allow any fish to escape easily, while still entangling floating rubbish. The dream was to have a system capable of using the collected plastic to fuel and rebuild the creature, allowing it to replicate independently to collect plastic over a broader area.